Just got the aimpoint I ordered in and ordering a mount from him now, good person to deal with. Its been a pleasure doing business with Charles. Looking forward to the next one! 6 out of 5 stars!!!! -Products: Exceeded all expectations, reasonably priced and well below ANY retail store and the vast majority of online merchants. -Communication: Exceeded all expectations, friendly, helpful, informative, responsive. -Payment: Exceeded all expectations, fast, effective, flexible. On a personal note, I've purchased around 30-40 NIB guns in my lifetime. This was by far the best buying experience I've ever encountered. I have two regrets: 1) Charles doesn't live closer to me. 2)Charles needs to carry more types of guns so I can buy more from him. Charles is a great person to deal with and will give you the best deal possible every time. I have ordered various things from him over the past year and each time I have gotten a better deal then what I could get anywhere else. This time I got five SCAR 17S magazines for about $50 a piece and the cheapest I have found anywhere else ranged from $77-100 each. Also he is well known to put extra goodies in the box. 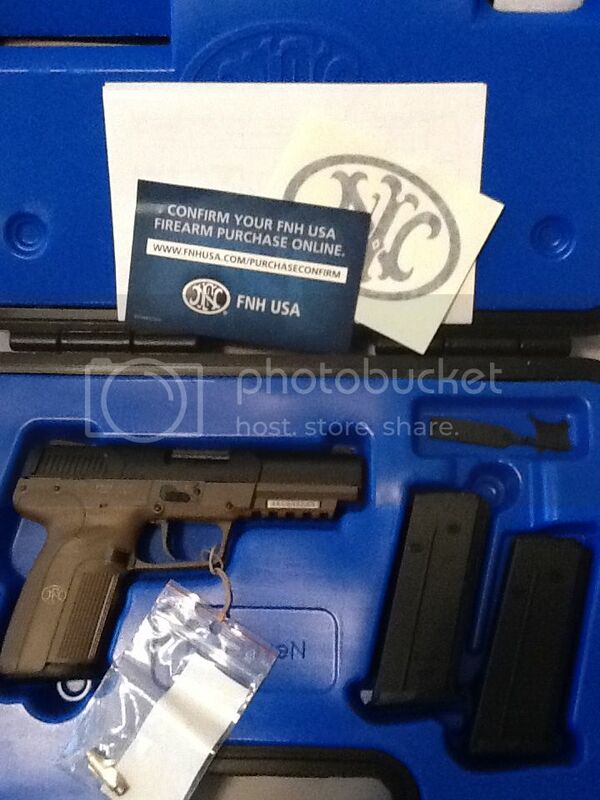 Picked up a .45 tactical and FNX 9 during his feb sale. He was aweome to deal with, fast service and the extras are always cool. Would definately do business with him again!! Another great transaction. Thanks Charles! MikeSantor wrote: Another great transaction. Thanks Charles! Same here! Shane is a happy camper. And Another great transaction. Thanks Charles! Prompt and fast service. Thanks, Charles! Same here. I've been buying ammo from Charles for a while. Every time it has been a great transaction. Great to do business with..
FFL faxed Tuesday, got the gun Friday! Ditch, just remembered that your swag didn't make into the box with your mags and optic that went out yesterday. I'll make sure we get something out to you early next week, as we have a big gun show this weekend and I've got two pallets of ammo to inprocess this morning before we go do setup. My apologies but we'll make sure you get taken care of mate. Thanks for the patience! Thanks for the update will you be at the Dixie gun show in NC? +1000 for A&A ARSENAL/BIG DOG OUTFITTERS Bought one of the kci 100 round beta drums they shipped same day and had best price around! It is freaking awesome very nice mag and functions like butter. thanks guys & gals!